Completely updated with all the amenities of new construction, this two-bedroom, 2-bath condo is located just steps away from Green Mountain, one of Denvers largest open-space parks. 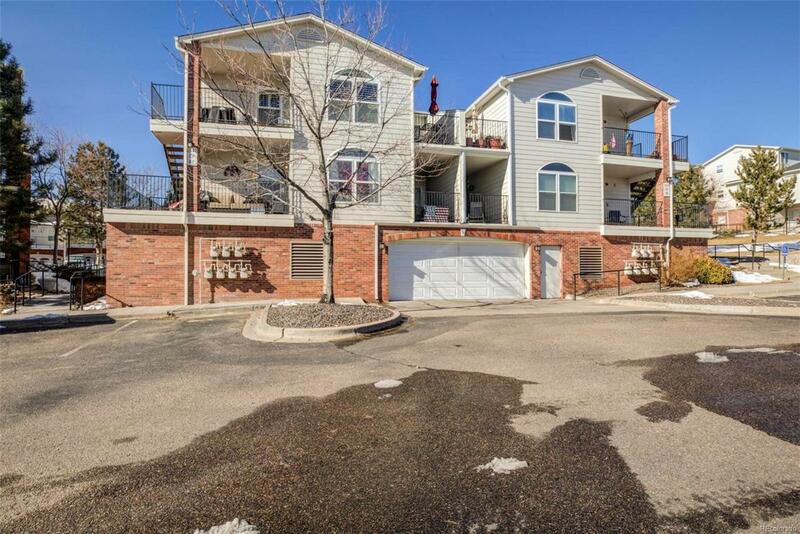 Close to Red Rocks, Bear Creek Lake, Dinosaur Ridge and easy access to C-470, the mountains and downtown. Open floor plan with two West-facing patios, lots of storage and secure underground parking. Kitchen has new LG stainless steel appliances, quartz countertops and a farmhouse-style sink with pull-down sprayer faucet. New low-maintenance Lifeproof luxury vinyl plank flooring, new carpet, new window coverings, fresh paint and new oil-rubbed bronze door hardware throughout. Full-size, high-efficiency washer and dryer on second floor, conveniently located near bedrooms. Master bedroom has en suite bathroom and private patio. All three bathrooms have new low-flow toilets, glass shower doors and new vanities with raised vessel sinks. Keyless entry on front door. Nest wi-fi-enabled thermostat.